Love this amazing quilting design! I usually prewash fabrics before they go into my stash because I usually don’t know when or how they will be used. 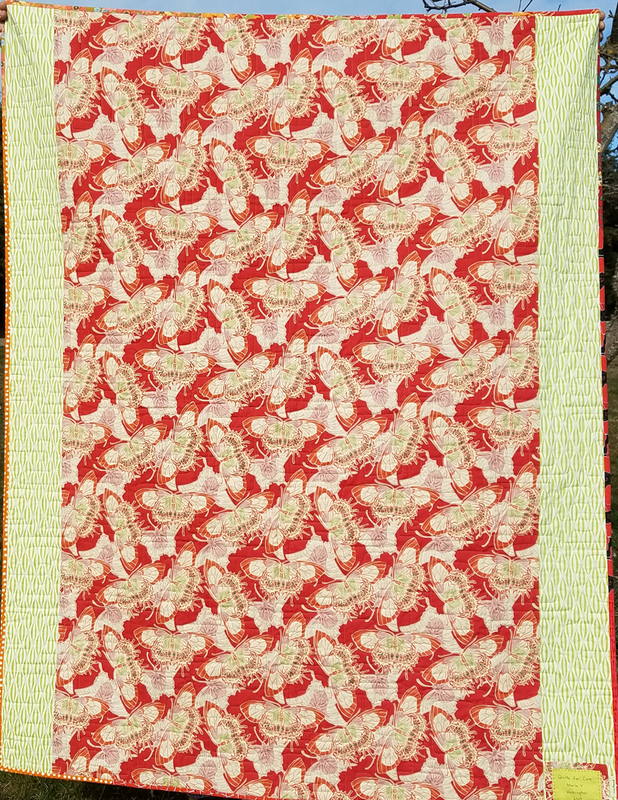 If a large piece has been in the stash a long time (like the backing fabric on this quilt), I wash it again to make sure it is clean and fresh. 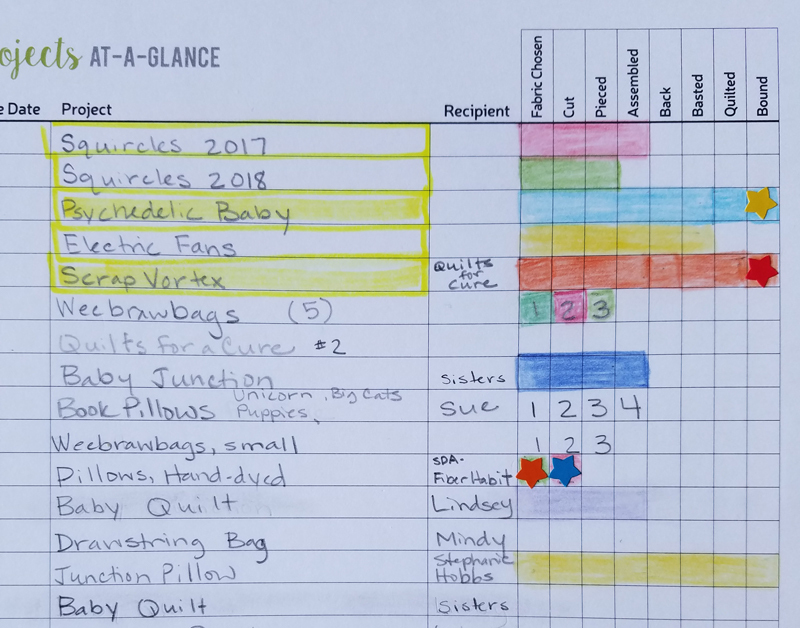 Quilts on their way to babies and children usually get washed and dried with fragrance and dye-free products before being gifted. 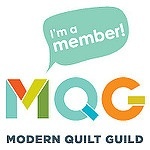 My exception is when I use charm squares…I don’t prewash the squares, but when the quilt is completed, I wash it at that stage. 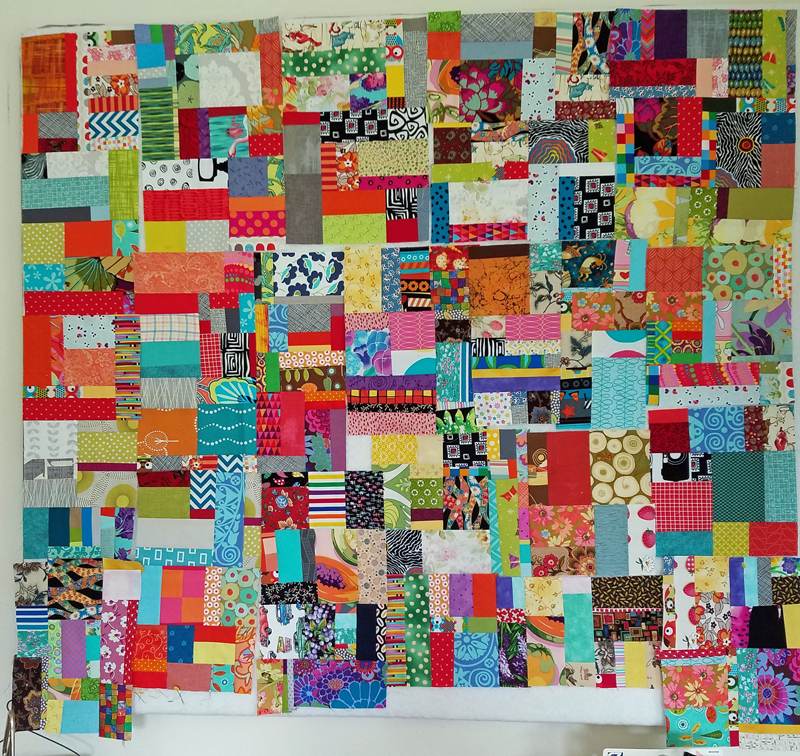 Oh, how wonderful to take the quilting prize and apply it toward such a wonderful donation quilt. I am sure it will brighten up and bring comfort to the recipient. 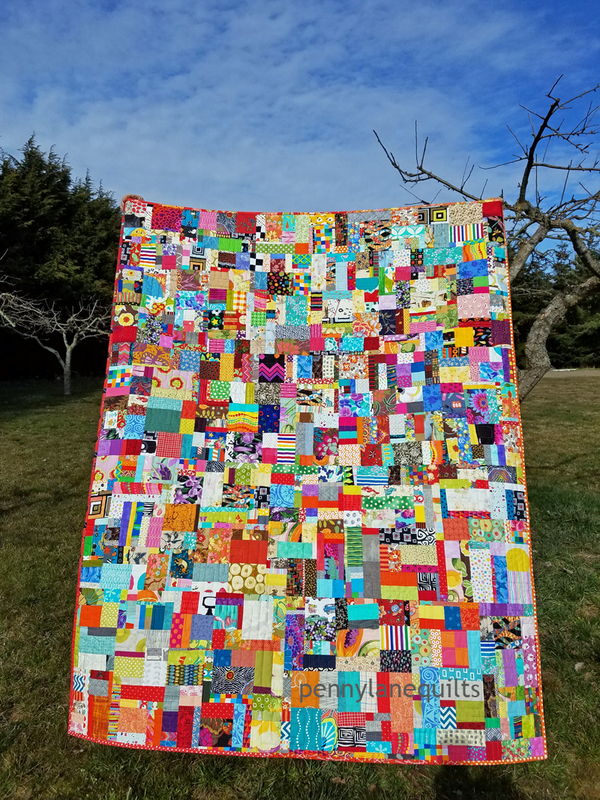 We felt like it was the perfect way to use the quilting prize, and it definitely helped speed this quilt towards a timely finish! I am grateful to Lilo for her generosity. How great to get that quilt finished with a little help! I made a scrap vortex back in the day – an interesting way to go after those scraps!